In the eyes of fashion’s finest Paris Fashion Week is long gone. But for some of the world’s toughest catwalk critics, the City of Lights still lingers in their palette. 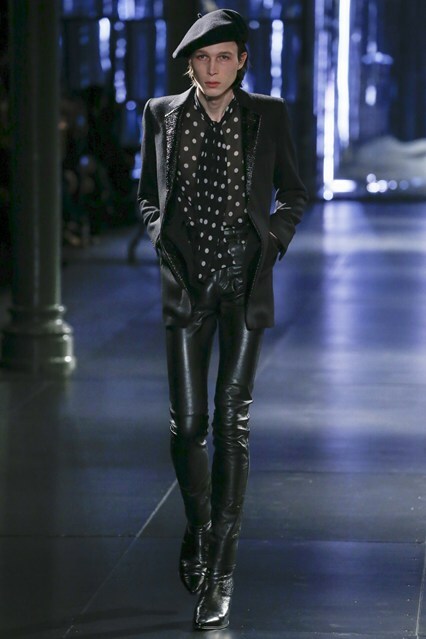 The Saint Laurent show closed the menswear season, including both men and women taking to the runway. 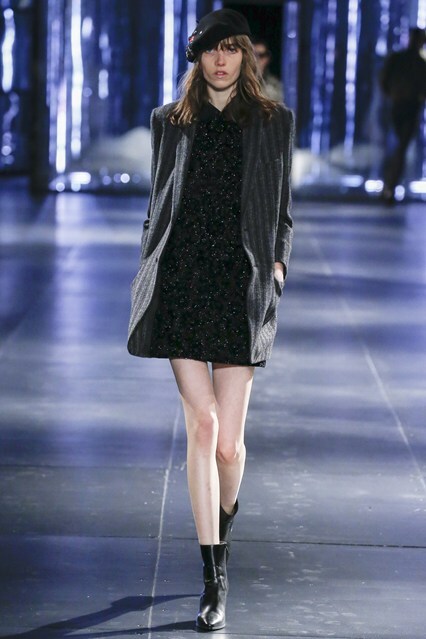 Aside from the shockingly thin appearance of many models, the show was stolen by the clean and simple take on Autumn/Winter 15-16 by Hedi Slimane. Despite multiple looks leaving the audience questioning the muse behind the collection, I think it’s very clear. Each charm represents the fresh and youthful street style seen all over Paris. Not one of the outfits would surprise me if they were spotted strutting down the Champs-Élysées more than they surprise me now. 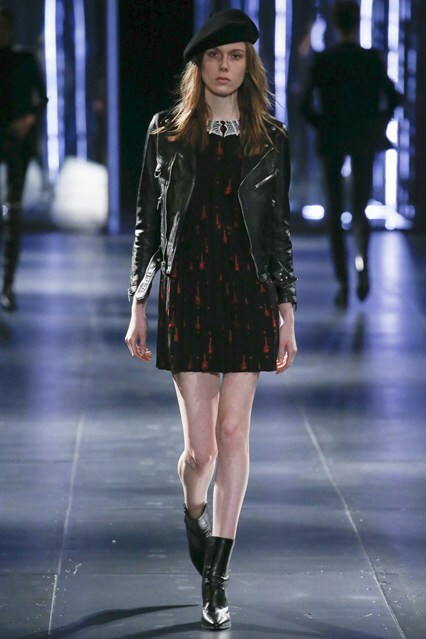 The overall taste had a 70’s feel, one aspect that keeps Paris feeling so ‘vintage’. The lack of colour doesn’t make the selection boring, rather, it causes outsiders to focus more on the details instead of being bombarded with colour and texture insanity. Hedi has notices lunacy on the runway isn’t always the best way to get attention. 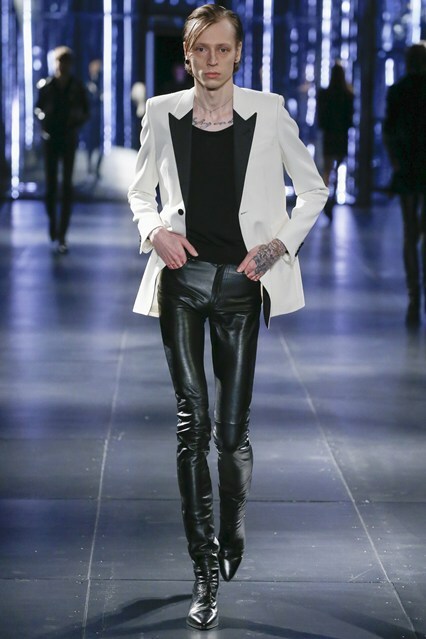 Slimane’s Saint Laurent has a certain offbeat glamour which doesn’t demand an enormous fashion statement or ridiculous colours. The book “How to Be Parisian Wherever You Are: Love, Style, and Bad Habits” by Anne Berest, Audrey Diwan, Caroline De Maigret, and Sophie Mas is successful for a reason. There’s a certain je ne sais quoi about the way Parisians carry themselves. Their attitude and accent are enough to draw me in. This mystical element is captured in this line as the whole collection represents one gigantic shrug with a splash of shimmer from the City of Light. 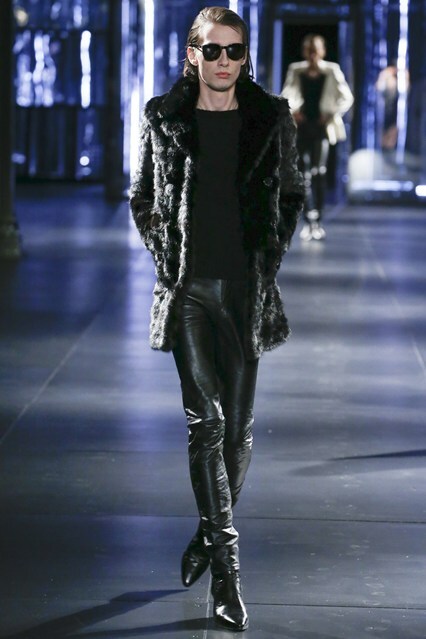 Saint Laurent’s models carried themselves with great arrogance that seemed to appeal to the audience. The line screams ‘too cool to care’ which is the best way to feel like the perfect Parisian.